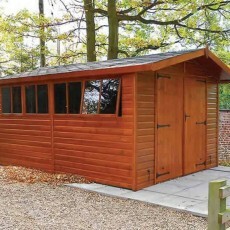 Similar to the Holt Apex, but the Standford has the door(s) positioned in the gable end, with the windows down the side. 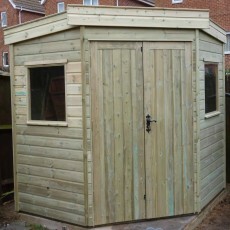 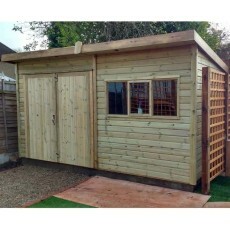 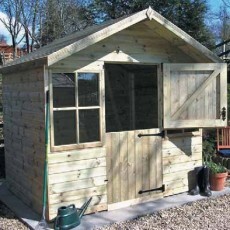 A solid and secure pressure treated shed designed for the corner of a garden. 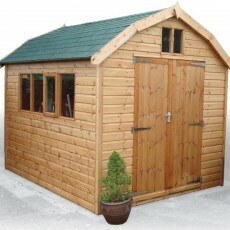 Comes with lockable doors and toughened glass glazed windows. 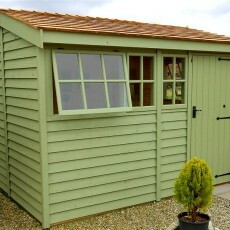 A high end workshop with an apex roof, but the doors & windows positioned under the eaves. 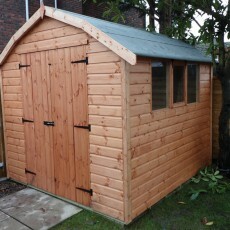 Finished in heavy duty 19mm thick cladding. 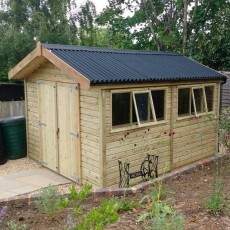 A high end workshop with a Pent roof. 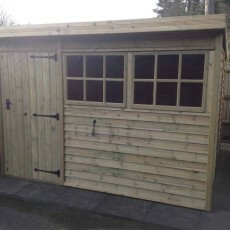 Finished in heavy duty 19mm thick cladding with lockable doors featuring security hinges.